Streamingoldies > Today In Rock & Roll History > 49 Years Ago Today! On August 8, 1969, photographer Iain Macmillan was given just a few minutes to photograph the Beatles for their ‘Abbey Road’ album cover. 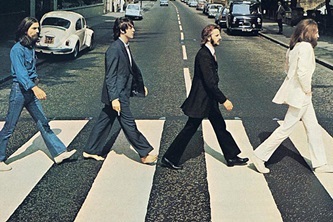 While a policeman held up traffic, Macmillan, standing on a stepladder positioned in the middle of the road, took six shots as the group walked across the zebra crossing just outside the studio. 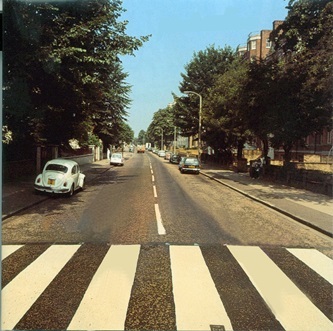 And what does that famous crosswalk look like today? Click the link below to see it LIVE!